Today we’re reviewing the Canson XL Series Mix Media Pad, the Bellofy Artist Pro Series Fine Art Drawing Paper Sketchpad, and the Strathmore 500 series Art Journal, in search of the best mixed media sketchbook. 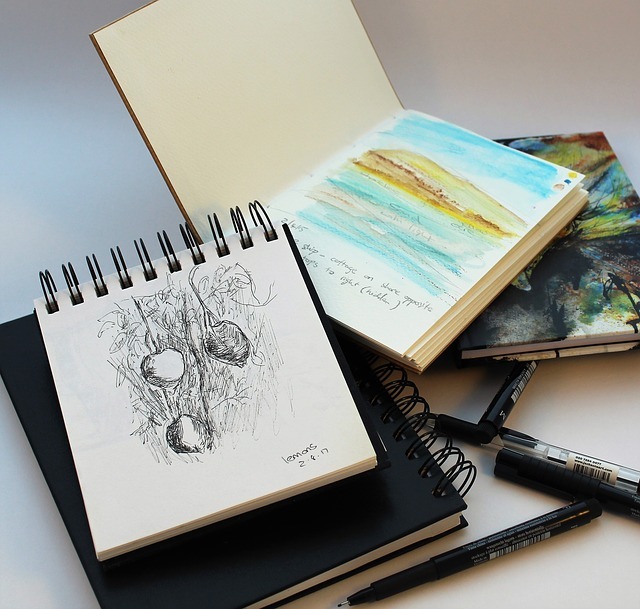 Mixed media paper is just so versatile, and a mixed media sketchpad is ideally suited for journalling, nature sketches, and just whatever you need while you are walking through your life because it is so portable. That said, mixed media paper has to be all things to all media, which is hard to do. It has to be absorbent, but not too absorbent, for markers and watercolors, and it has to be stiff enough not to warp from liquids. 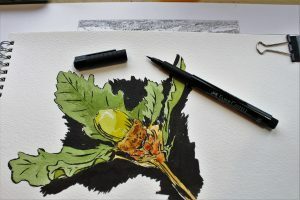 It has to have a surface that won’t snag the delicate nib of an ink pen, and won’t smear, pill or decompose into bits of fluff when you erase pencil or graphite. And it helps if the cover will hold up to a beating. All three of these mixed media sketchbooks are between 90 and 98 lbs. paper, which is a little light for watercolor, but doable, and of course the light weight makes the pad more portable. 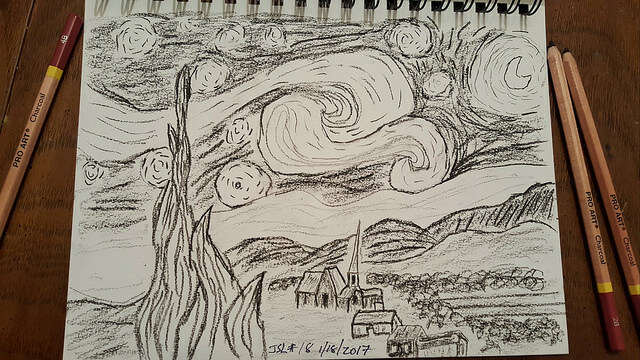 The Canson sketchpad is really great value, and the paper surface is better than many other expensive papers. We are impressed with the quality, which at the price makes it a great choice for students. While the cover isn’t all that durable, it’s portable and the paper is usable enough in all media to deserve the title of a mixed media sketchpad. The thing about the Canson sketchpad is that the paper does have a good surface which won’t snag nibs and erases nicely. Water doesn’t absorb very rapidly, which can be nice if you are spattering or doing wet in wet. It is excellent value for the price. It’s acid-free, 7” x 10”, with a side spiral wire, and made in France. It’s not an overly generous pad. While the cover says there are 60 sheets, there are in fact 30, and you would certainly never use both sides of this paper, except maybe for pencil. At 90lbs it’s not really heavy enough to be ideal watercolor paper, so it will warp if you aren’t very careful. People have good luck putting paper towels around it and weighting the book, or even putting pieces of fabric on both sides and pressing it with a steam iron. Heavy markers do tend to bleed through, but that isn’t unusual for paper of this weight. Just put a protective sheet under it. The only other drawback with the Canson sketchpad is that the perforated line for tearing out pages is a bit fragile. Be very careful blending over the holes as you may unintentionally tear out a page. Since a sketchpad like this is often intended to be kept together, that’s an issue. But at this price, you can’t be too picky. 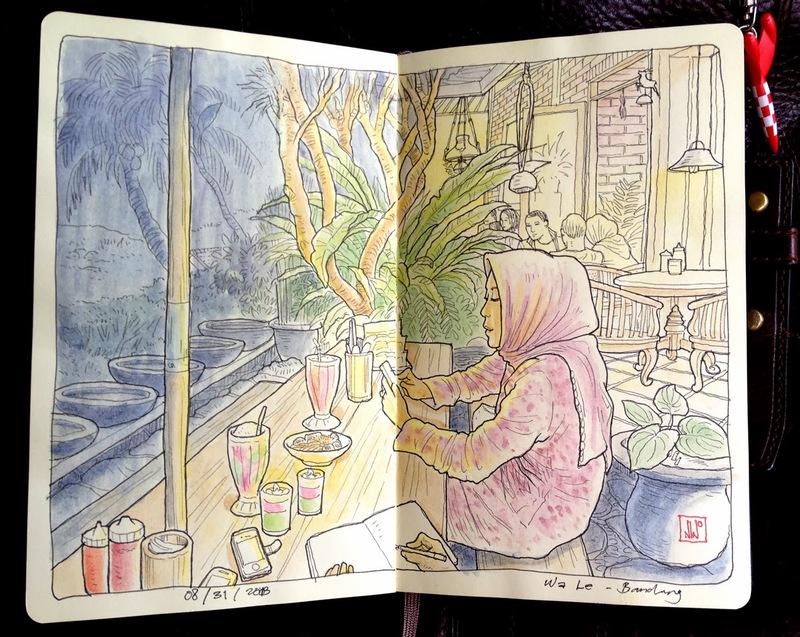 What stands out with the Bellofy sketchpad is the thick, soft paper, and lots of it. Unfortunately, the surface doesn’t hold to watercolors or pencil erasures. It tends to pill up and smudge, so it really isn’t usable as a true mixed media sketchpad. We are also puzzled by the somewhat bluish tinge to the paper. 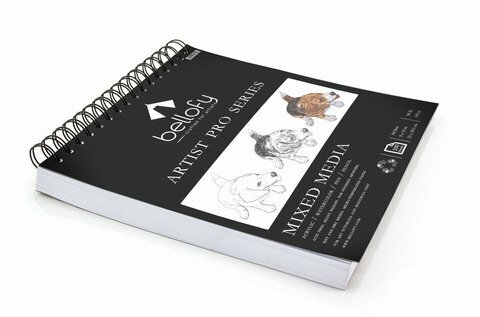 The Bellofy sketchpad is bigger and heavier than the Canson, with a whopping 100 sheets of big, fat 98lbs. paper, and 9” x 12.” The paper is recycled and acid-free, and the flip-top spiral makes it easier for left handers. It’s micro-perforated but doesn’t seem to have the same problem as the Canson with accidental tearouts. It’s very absorbent, so colors soak right in and pop. The surface is rather fragile. The advertising says that it is durable yet smooth, but it’s actually textured on both sides, and it has an unfortunate tendency to pill during erasures and come apart with too much water. Another possible drawback with the Bellofy sketchpad is the color; it should be neutral white, but it’s a little bit bluish. This handsome sketchbook really does seem more like an art journal. 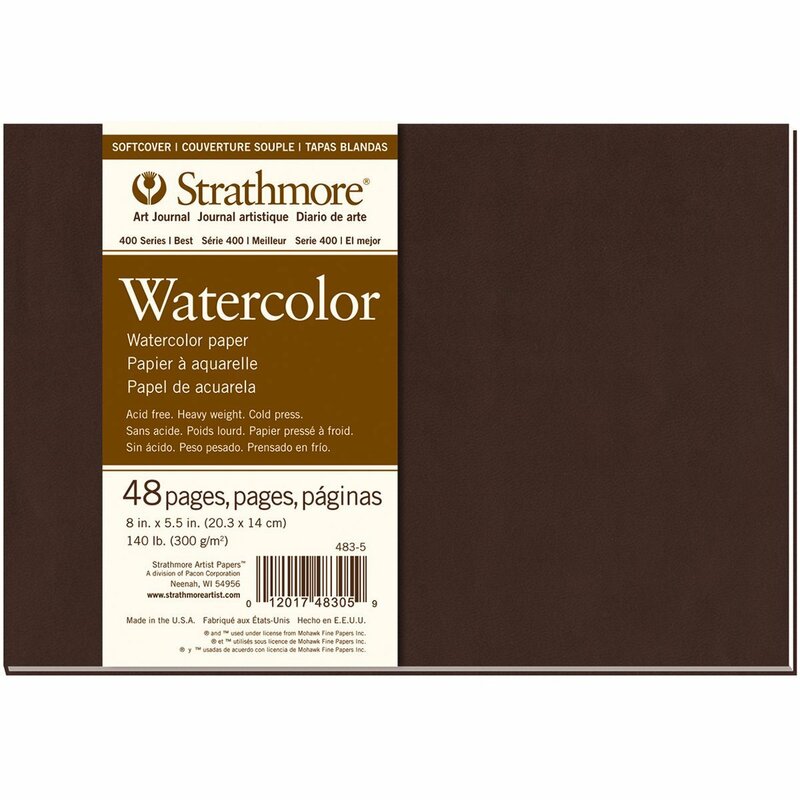 The Strathmore Art Journal, while still at good value, is the most expensive of the sketchbooks we’re reviewing today. The paper is 100 % cotton fiber, acid-free, lignin free and archival. It weighs in at 90lb and its measurements are 8.5” x 11”. It has 32 pages, with a nice tough matte dark brown cover that makes it more portable. It’s made in the USA. It’s very tightly sewn. We really like this book for its quality paper and gorgeous construction. It’s a beautiful book, and very tightly bound. The paper is excellent quality, with internal sizing that holds the paper together nicely for wet media. 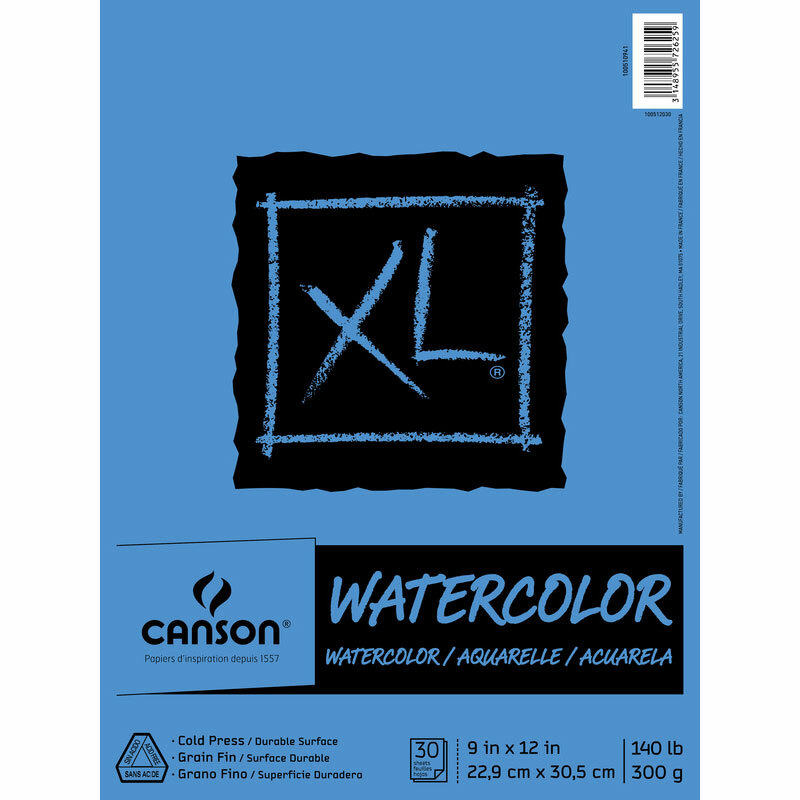 While it doesn’t behave like a true watercolor paper, remember - it’s 90 lbs., not 140. It does work well, similar to a Fabriano’s soft press. We find that it doesn’t pebble-like cold press watercolor paper. Watercolors may spread a little more. This very white paper has a really good surface. 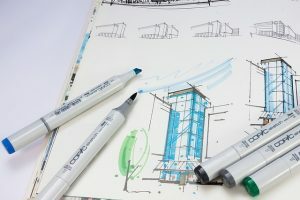 We really like the durable vellum finish for drawing techniques. While it is a little more textured than the company says, more so one the front than the back, and we were concerned that nibs might catch, this didn’t seem to happen, The Micron pens worked well on this paper. It holds up well under erasing; doesn’t pill up or hold smudges. Alcohol-based markers bleed right through, but that’s to be expected. Acrylics apply really beautifully. The Smyth-sewn binding is supposed to allow pages to lay flatter inside the cover, but we find that in order to get pages to lay flat enough to work on you have to crease the page over. The book is so tightly bound that if you are doing collage work or any kind of applique the cover will not lay flat. All in all the only negative thing you could say about the Strathmore Art Journal is that the binding is so tight that in certain media, using it could spoil its crisp style. The cover, which protects the book as it travels with you. 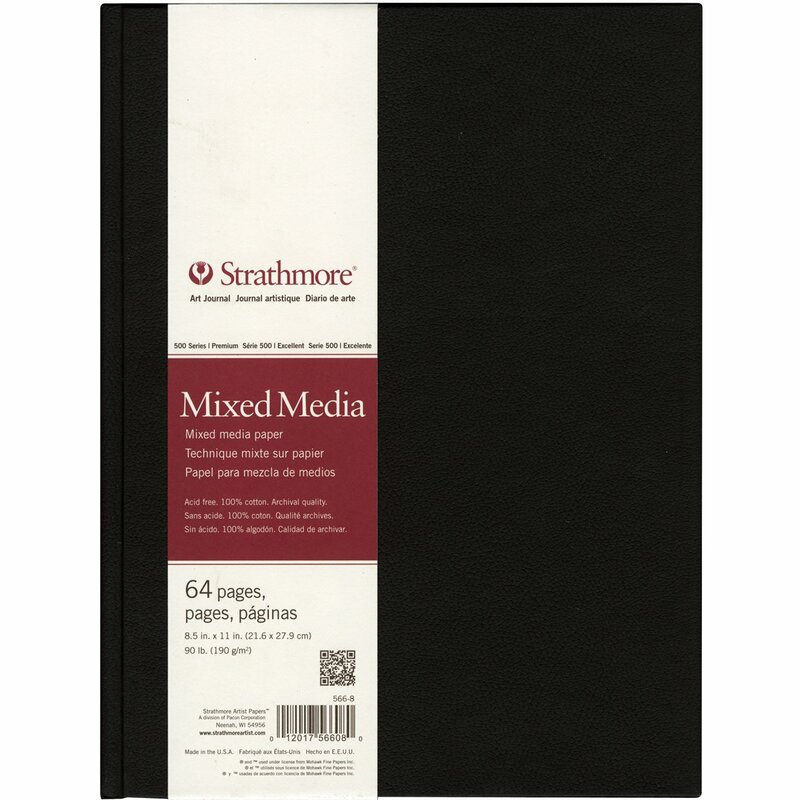 In the end, we decided the Strathmore Art Journal comes closest to being the perfect mixed media sketchbook, because the better paper quality allowed it to be used for more media, and the cover is particularly durable, while the others only had paper notebook covers. 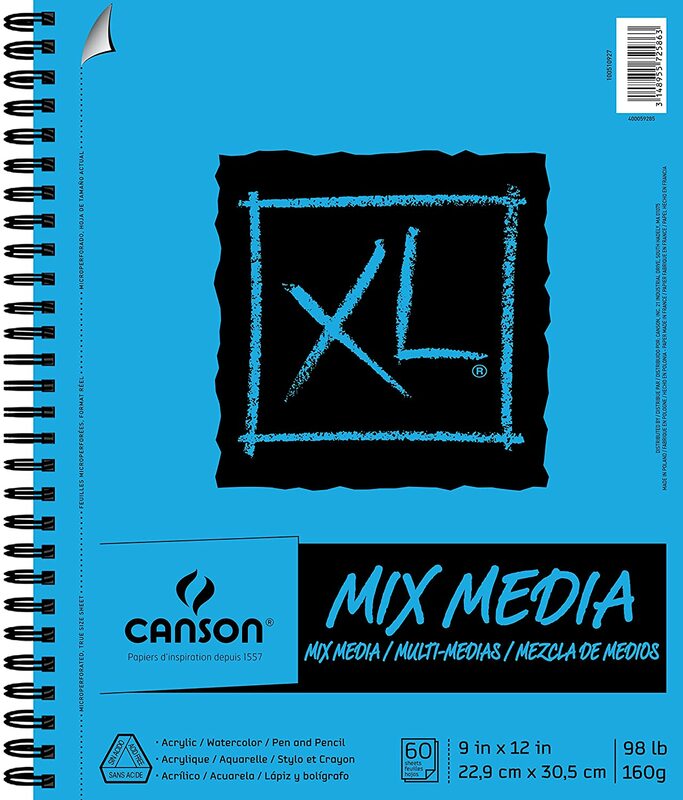 Our second choice was the​ Canson XL Series Mix Media Pad. 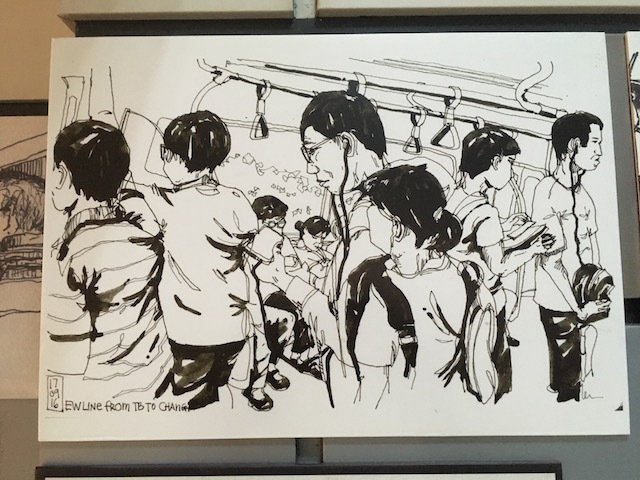 The Canson sketchbook is probably the best deal for a student or a teacher working with students and that's important. It’s not the best sketchbook you can buy, but the surface is tough and there’s enough sizing in the paper to hold up to watercolors (you may need to press them afterward). Whatever mixed media sketchpad you choose, remember that no one product can handle the demands of all different media. 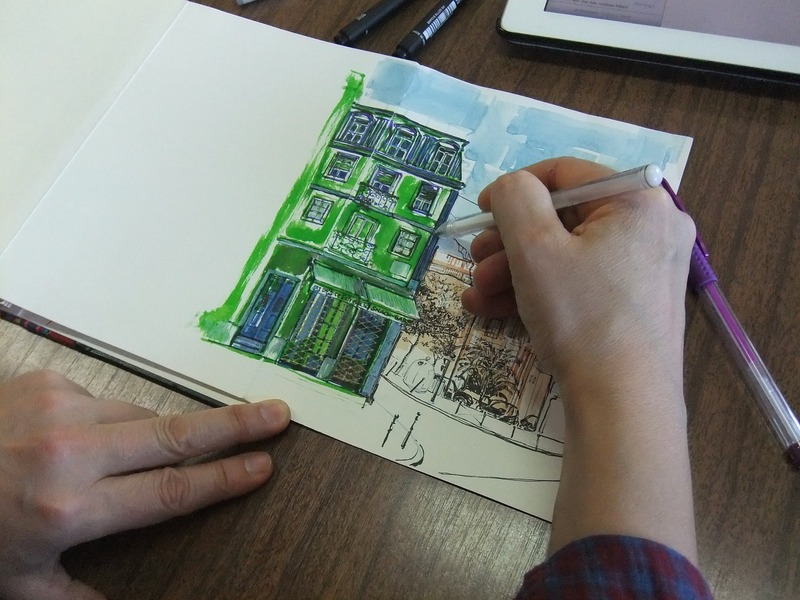 Consider the paper part of the piece, and take the demands of your particular medium into account when choosing a sketchpad. Frank is a student in art and writing. 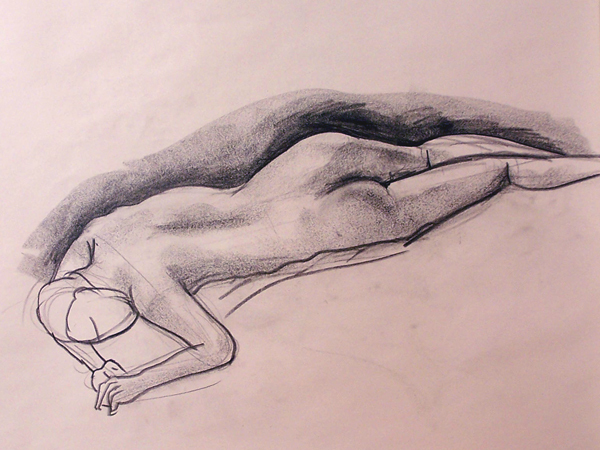 He enjoys pencil sketching, particularly face and pattern sketching. He also loves Japanese anime and manga, he probably spends too much time on both.